One of the trickiest tasks in business is finding new customers. From marquee signs to direct mail coupons, there are dozens of marketing tactics that businesses deploy to attract customers. 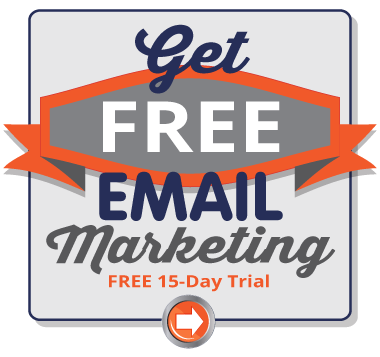 One of the most common lead-generating strategies is email marketing. Seventy-eight percent of businesses use email to find qualided leads. So, what kinds of emails generate leads? Great question. 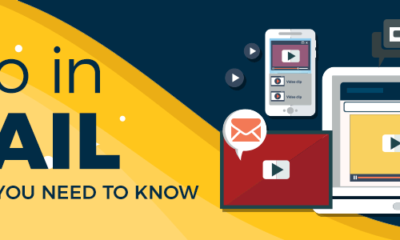 We’ll highlight three emails that can help you find the kind of qualified leads that you’re looking for. Before we dive into specific types of emails that can generate leads, let’s define what a lead is. Hubspot defines a lead as a potential customer that has shown an initial interest in your business or product. Once leads are identified, it’s your job to nurture that lead over time. The hope is that you can convert that potential customer into a loyal, repeat customer. The emails that we’re going to showcase will help you generate leads. Essentially, they’ll help you get a list of potential customers that have a good chance of becoming part of your regular customer base. A webinar is a great way to start a relationship with potential customers. Participants aren’t just showing interest in your business, they’re willing to take time out of their busy schedule to listen to what you have to offer. Research indicates that webinars are particularlly helpful for businesses that market to other businesses. In fact, B2B marketers say webinars and product demos are their most effecitive lead-generating tools. 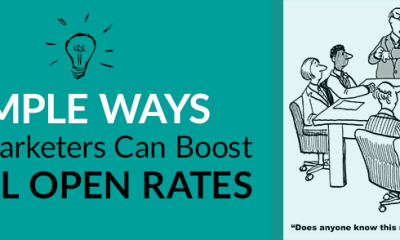 Consider offering a free webinar and invite new customers to it. Aren’t sure what you could cover in a webinar? You’d be surprised how many businesses say, “I don’t have anything to say,” or “No one wants to hear me talk.” That’s not true. You’re in business for a reason. You do, indeed, have something to say. Think about what information is relevant and valuable to your audience, and come up with a list of topics. For instance, if you sell digital cameras, offer a webinar that provides tips to buy the best, most affordable camera for beginners. If you offer financial services, consider offering a webinar on retirement strategies that everyone should use. Got a topic in mind? Great. It’s time to email invitations. 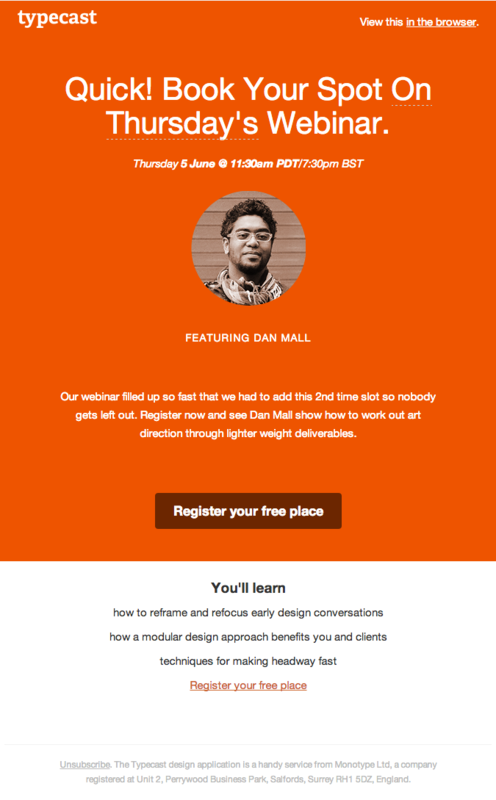 Here’s an example of a webinar invitation that gathers leads. You’ll want to segment your email list and target new contacts that are at the beginning stages of your sales cycle. This goes for all of the emails we’ll highlight. Don’t hide the point of your email. Tell subscribers what you’re offering right in the subject line. You want subscribers to act fast, so make sure you add a deadline to sign up and time-sensitive language. The example above uses the word “quick” in the title and goes on to explain how popular the webinar is. It encourages subscribers to act fact to get a seat. Your call to action will be a sign up button. In the example above, the call to action is the button that says, “Reserve your free place.” The button leads people to a contact form that must be filled out as part of the registration process. You’ll want to collect names and email addresses at the very least, but you can also add fields to the form to collect more information. Just don’t make it too long. Another way to find qualified leads is to create a piece of content that your customers want. It can’t be any-old article or list of tips. The piece of content has to be something good, something of value. Once completed, send an email to your customers about it. The catch is, to access this piece of content your customers will have to provide their contact information. The content lives behind a contact form. Once the contact form is filled out, the client can download the article and you can add another contact to your list of qualified leads. 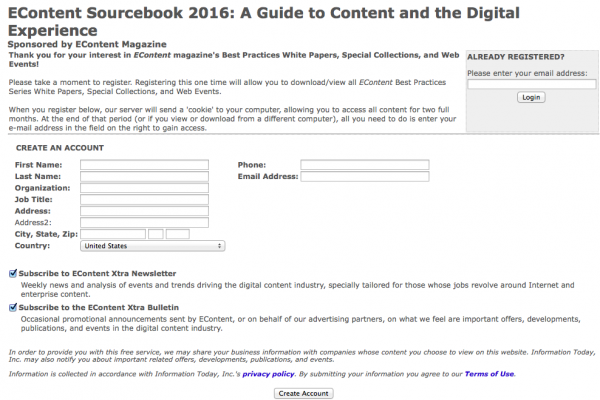 You may have heard the term “gated content.” Essentially, that’s what you’re doing here. To get the content, customers must pass through the gate, which is the contact form. 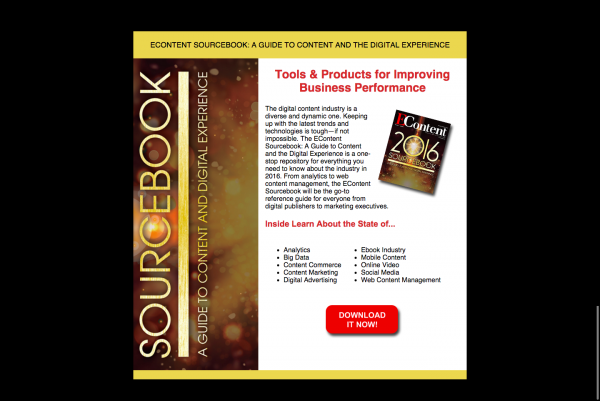 Here’s an example of an email to entice subscribers to download your must-have white paper, eBook, case study or guide. Tell subscribers what they’re getting. Just like a movie trailer teasers a movie, your email should tease the reader just enough to get him or her to download it. Notice the descriptive sentences in the email. As with every email, you need a clear call to action. In the example above, the red “Download it Now” button stands out. When you click on the call to action in the email above, you’re taken to this landing page on the company’s website. It asks subscribers to create an account. In this case, the company is banking on customers with accounts becoming paying customers. To rack up a few more leads, consider hosting a social media contest. This idea marries social media and email marketing. First, you’ll need to create a contest. It should be something that gets customers involved. Simple giveaways don’t results in great leads, because everyone wants something for nothing. However, if you ask your customers to participate in some way, it shows a higher level of interest. Consider asking customers to submit content. Video or essay submission contests are great examples. Bonus tip: If you need a little help running a social contest, turn to a third party app like Woobox to get your contest set up and streamlined. 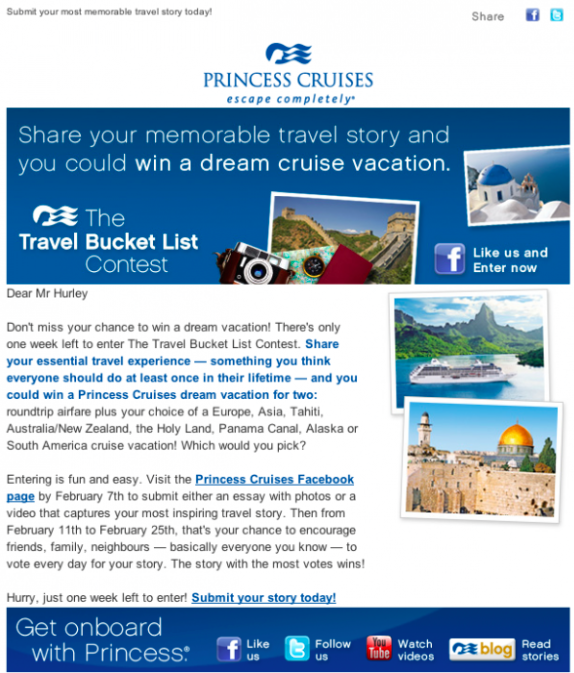 Once the contest is active, send out an email inviting customers to participate. Of course, to participate customers will have to provide their name and email address. Ding, ding – more leads. Here’s an example of an email invitation. Your contest needs a title. Make it simple, yet descriptive. Be sure to include the title in the email. Tell customers what the contest is all about. Tell customers what they can win, and how they can win it. While the example above is a little text-heavy, it does provide all of the necessary entry details. You’ll want a consistent look between your email invitation and you social contest. Pick a consistent color scheme and use the same fonts. As customers click on the email and are directed to the contest page, consistency tells them that they’re in the right place. Bonus tip: After you complete a contest that provides “user-generated content,” which is content (photos, videos, essays, etc.) that your customers generate and submit, you can use it in future marketing materials. Use photos as your new Facebook cover photo, share snippets of an essay on Twitter, or print an essay in your next email newsletter. Just make sure to tell contest participants that their submissions can be used in marketing pieces in the rules. This idea not only provides new leads, it also engages customers through social channels and provides hassle-free marketing material for future use. It has a lot going for it. Having a qualified list of leads generated from email campaigns is like marketing gold. That list holds a lot of sales potential. Now that you’ve generated this coveted list, you’ll need to send emails that nurture the leads. These emails will move customers through the sales process. Remember, you don’t want to move too fast. You don’t want to send out promotional emails that encourage product or service purchases before a customer is ready. This is where a solid understanding of the customer buying process comes into play. Use that process to send informational emails that eventually lead to a sale. Of course, every business is different, so you’ll want to nurture leads in a way that works best for you and your audience.